Description: An origins-neutral curriculum that covers not just the usual “rocks and minerals” but soil science, as well. The engaging text will take you on an adventure of exploration into the world of the inorganic, with special emphasis on chemistry. The first half of the book (about 150 pages) is the student text with all the information you will need, plus comprehension self-checks, word puzzles and other pencil activities. The 150-page teacher’s section gives you instructions (and patterns where necessary) for high-content games, crafts, labs and other activities. There is also a playlist just for this curriculum posted on the Basement Workshop YouTube channel. 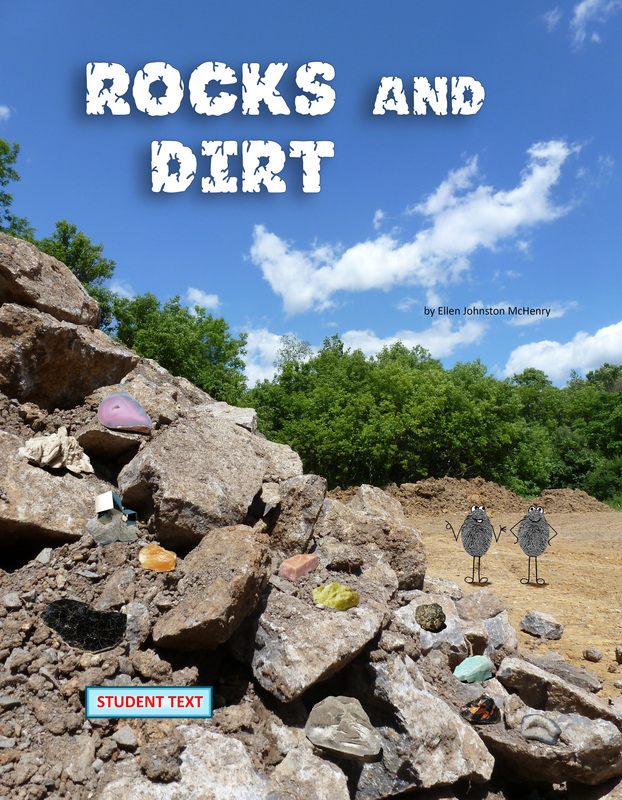 NOTE: You do not need to purchase a set of rocks to use this curriculum, but I do indicate where a purchased mineral set can be used (in chapter 2). Any extra resources you want to buy will certainly enhance the curriculum, but they are not an absolute necessity. Topics covered: A review of the Periodic Table and the elements, definition of what a mineral is, mineral properties and identification, the silicon atom, silicate minerals (the quartz family), the Bowen reaction series (though this term is not used), in-depth study of rocks (igneous, sedimentary, metamorphic), rock identification, limestone and the chemistry of calcium carbonate, coal and natural gas, caves and karst, an introduction to soil science including some soil biology, seismic waves, clay molecules and why they are important, sedimentary layers of the crust, fact versus inference, inferences about the earth’s interior structure (mantle, core, etc. ), topography of the ocean floor and the history of its discovery, difference between continental and oceanic crust (granite and basalt), lava chemistry (mafic versus felsic plus cross-over depth), faults and earthquakes, the discovery of geological layers, the Grand Canyon layers, how radiometric dating works (K-Ar, Ar-Ar and C-14), the history of the plate tectonics theory, reasons why some people think plate tectonics can’t be right, and introductions to two alternatives to plate tectonics: the surge tectonic theory and the hydroplate theory. NOTE: This curriculum is extremely clear about what is fact and what is inference. Students will not be told theories as if they are facts. Theories are presented as such. 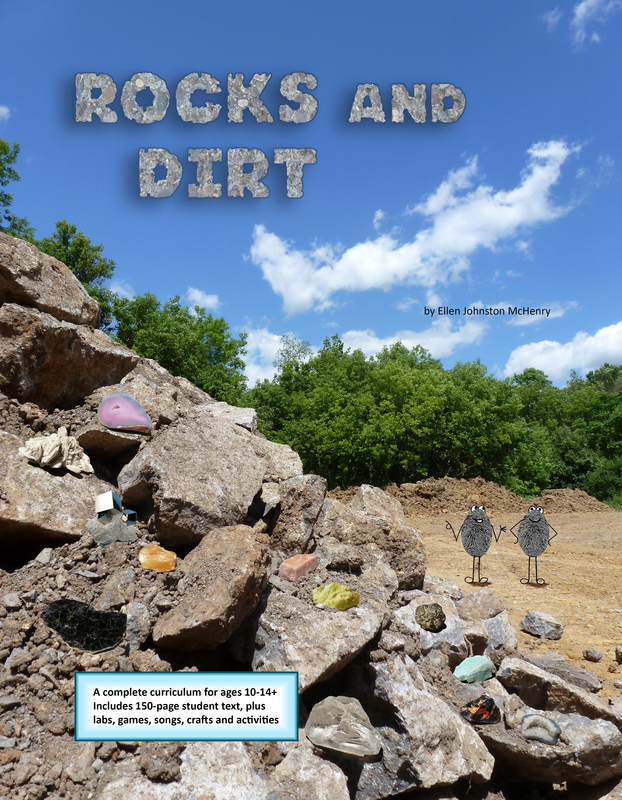 The bulk of the book centers on observable facts about rocks and minerals, not speculations. Activities included: Cut and assemble paper crystal shapes, two density labs, “Make Five” card game about mineral recipes (this game is also found in The Elements), “Mineral Auction” (a card game about minerals), agate art project, magma lab using salt water, “cookie mining” (this activity can be found other places on the Internet), “Follow the Rocky Road” (a card game about rock identification), edible rocks (a cooking activity), several labs about limestone chemistry, “The Limestone Game” (a board game), craft project about coccolithophores (microfossils found in chalk), soil profile box craft project, several soil analysis labs, a step-by-step drawing showing a microscopic view of soil (uses a video found on the playlist), ocean floor mapping simulation activity, shrinking plastic craft about inside of earth, edible core sampling activity, step-by-step drawing of trilobite fossils, paper dodecahedron or octahedron globe, two songs about rocks, cross-over depth demonstration, half-life lab, extrapolation lab, “The Rock Hopping Game,” and a review quiz game. Time requirement: This will depend on how many of the activities you intend to do. If you just read the text and choose a few activities for each chapter, you can probably complete it in 8 to 9 weeks. The curriculum can easily be stretched to fill a longer time period, even a semester, if you take two weeks for each chapter, do all the activities, and perhaps supplement along the way with some extra books about topics that your student finding interesting, such as caves or compost. Is this digital download the same as the paperback? Yes, it is the same as the full curriculum paperback. Can this curriculum be used for high school credit? Yes, if you use it for half a semester’s worth of credit. (In my district that would be 1/4 credit.) The depth of information provided is well into high school territory, but I don’t cover everything about earth science, which is why it is called “Rocks and Dirt.” I don’t cover what makes seasons, phases of moon, weather, astronomy, etc., which are often included in earth science courses. Does this curriculum teach that the rocks and fossils are millions of years old? This curriculum is origins neutral. (no evolution, no Bible verses) I explain how radiometric dating works and why that would lead to the inference that the earth is very old. I also present observable facts that lead to the inference that the earth is not millions of years old, such as C-14, polystrate fossils, earth’s magnetic field, soft tissue in dinosaur bones and radiohalos in coal. I don’t tell the reader what to think. Science itself seems to be giving contradicting clues, which is why factors outside of science then come into play and guide our interpretations.